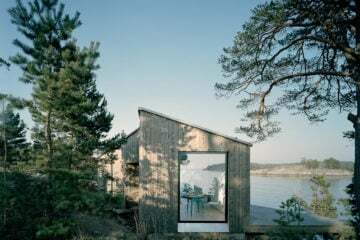 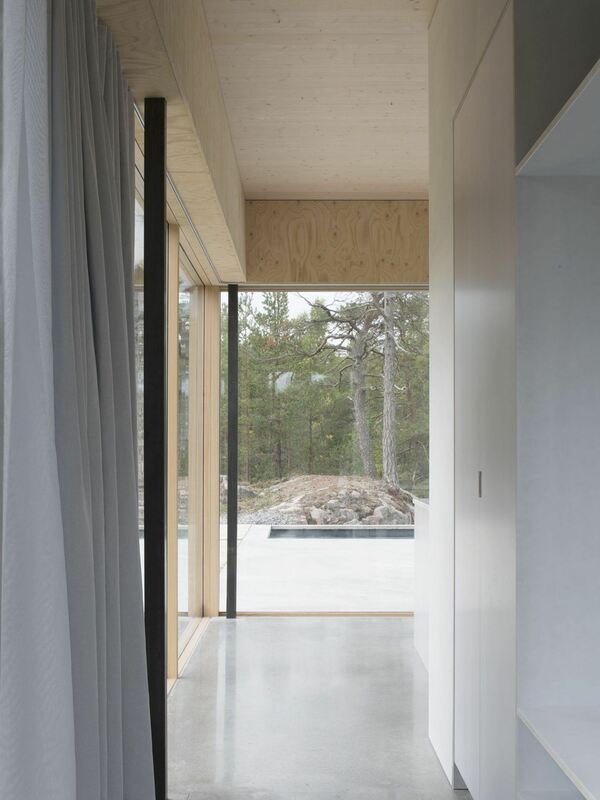 In an area just beyond the Stockholm archipelago, at the edge of a thick pine forest, Swedish architecture studio Arrhov Frick has designed ‘Atelier Lapidus’, a minimalist home and swimming pool constructed from concrete and large prefabricated wooden boards. 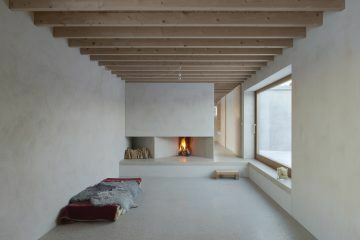 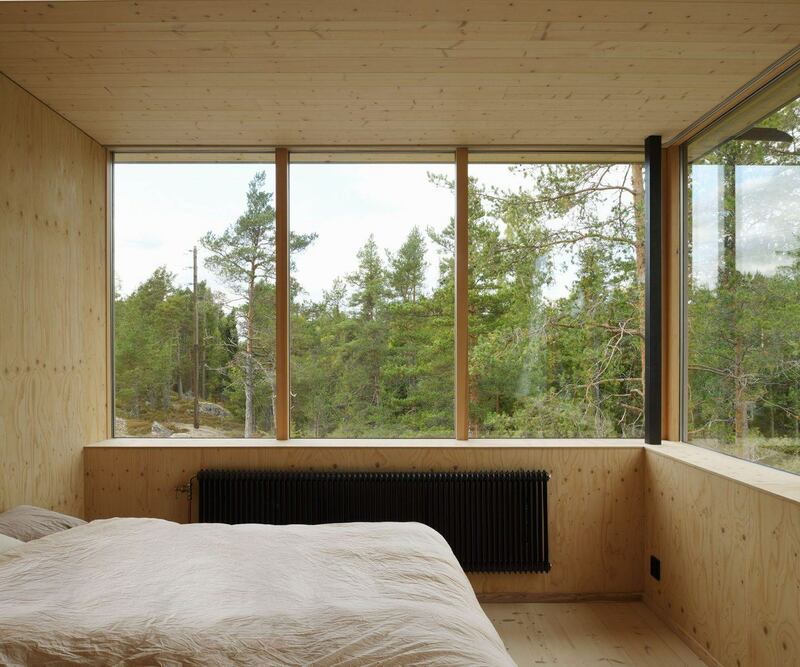 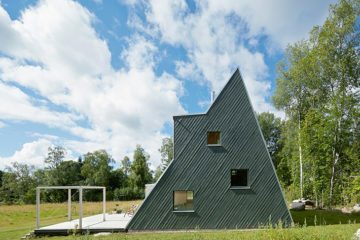 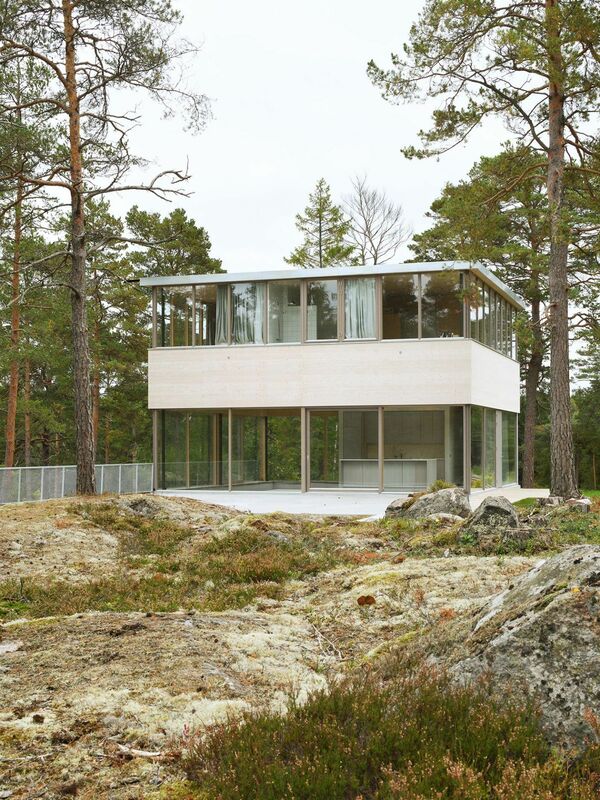 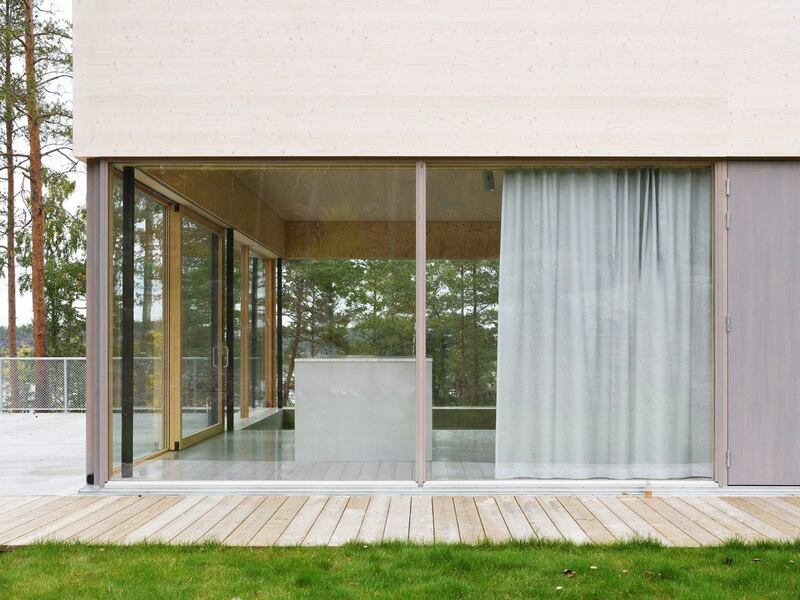 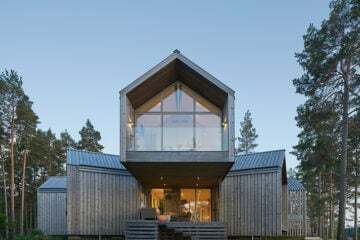 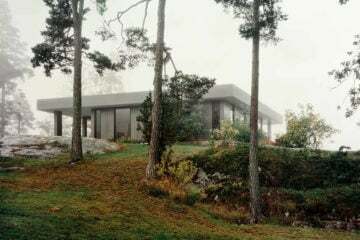 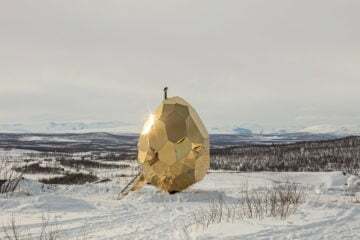 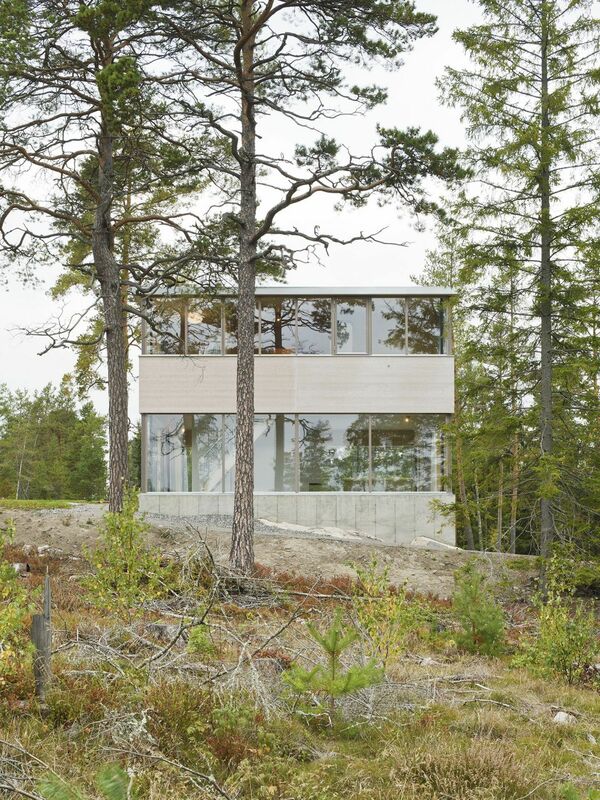 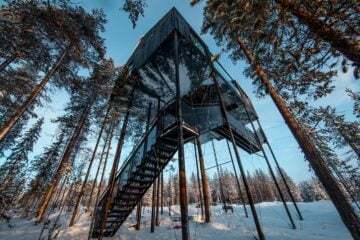 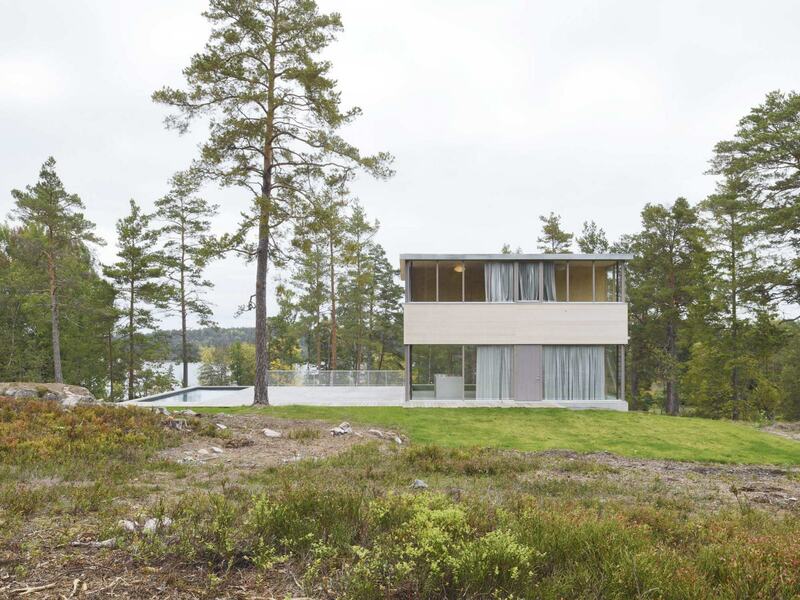 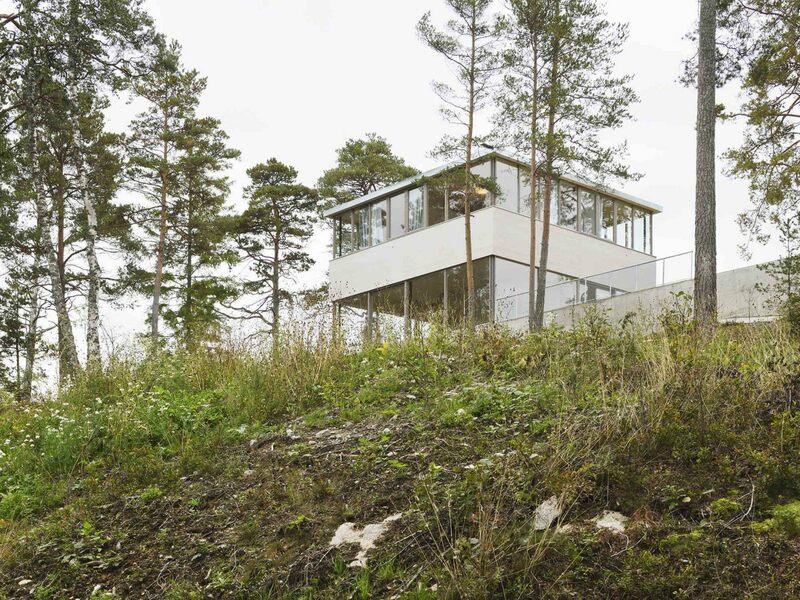 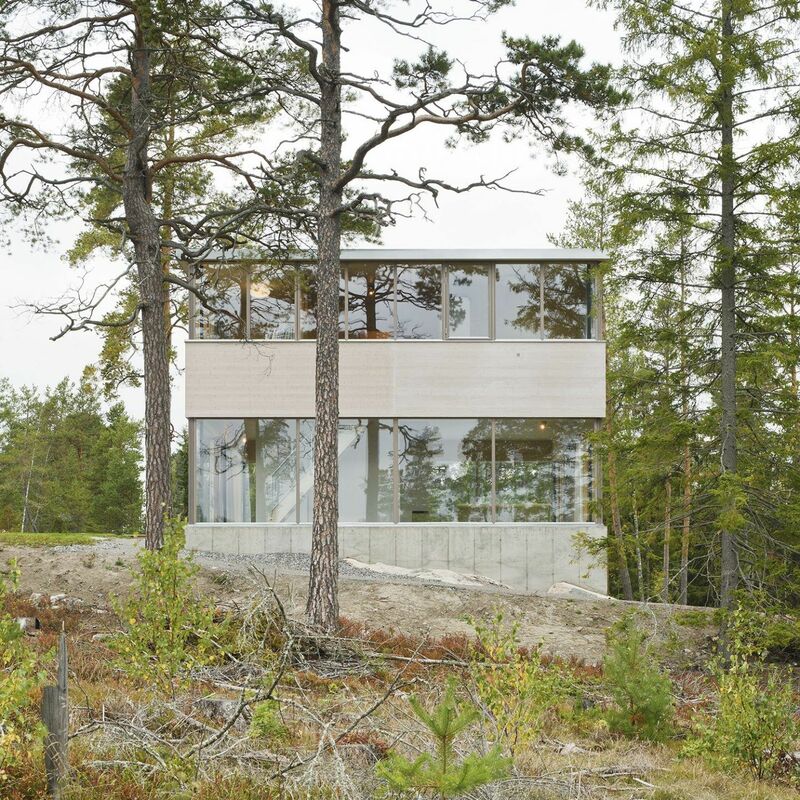 Situated in Skägga, the home was intended as a refuge for a family, the client having requested that the architects create for them a “small and minimal dwelling in nature.” Split across two levels, the home is separated between public and private spaces by a floor plan that indulges different materiality. 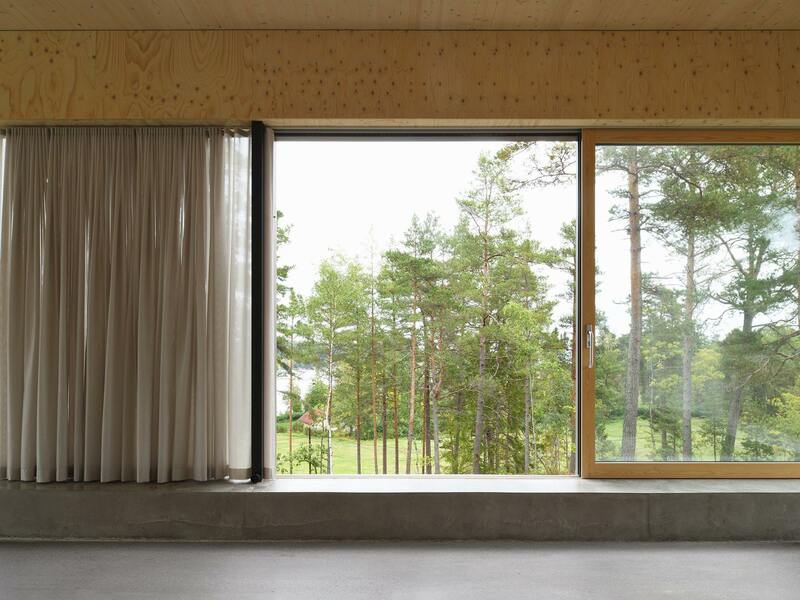 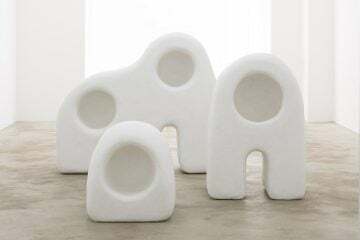 The lower level accommodates the social areas of the home along with a bathroom. 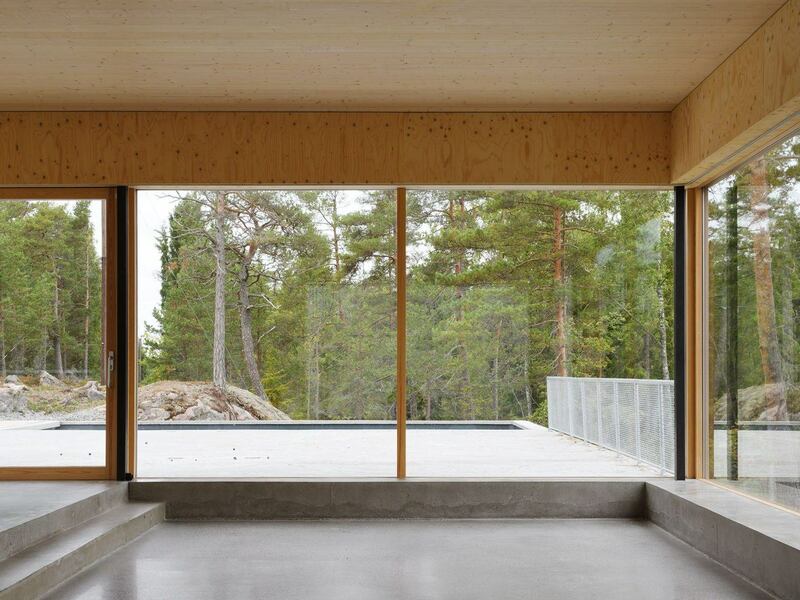 Constructed using raw materials, the open and vast living and dining area features large sliding doors and windows that offer views to the pine forest beyond. 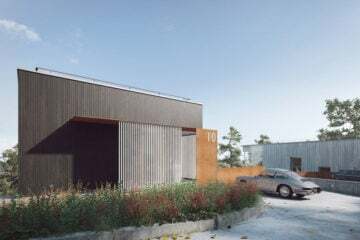 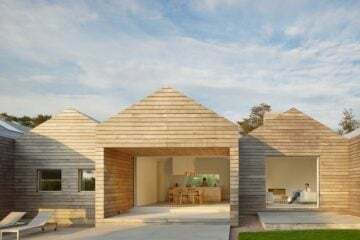 In comparison, the upper level that houses both the bedrooms and a second bathroom, has been designed to give a feeling of comfort and security, its thick walls and deep window sills are wrapped in light wood panels.